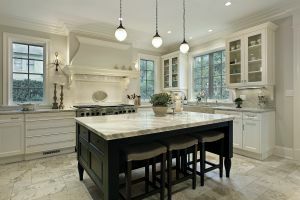 Any kitchen can benefit from marble tile. After all, with its slick surface that’s resistant to both heat and water damage, you can confidently cook without worrying about marring your countertops with grease, hot pans, and all other messes that an active kitchen can produce. Because of the moisture that is constantly present in your bathroom, it’s important that you keep your bathroom protected from water damages: mold growth, structural rot, etc. And a great way to prevent moisture from damaging your bathroom is to get marble tiling for that room. A saddle is the divider that separates the flooring as it changes from room to room. Saddles themselves already offer some great aesthetic benefits to your home, but to get the most out of saddles’ aesthetics, don’t settle for a material such as wood or metal. Get a durable and STUNNING marble saddle cut by Kennedy Tile & Marble Inc. instead. Your shower deals with more water than perhaps any other installation within your home. Thus, it remains exposed to water DAMAGE more than any other installation within your home. 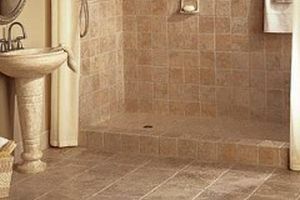 To help prevent water damage from harming your shower, just get marble tile installed. And to get the best installation, call on Kennedy Tile & Marble Inc. for quality materials cut to your exact specifications. Along with your shower, your tub (which often pairs with your shower anyways) deals with gallons of water every day. And like your shower, your tub, faces a high risk of water damage — damage which you can help avoid by installing tile that’s cut to fit your tub by the pros at Kennedy Tile & Marble Inc.
A swimming pool and a hot tub can provide you with a great place to spend your downtime. 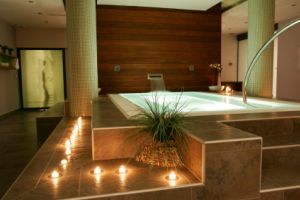 To get the most enjoyment for the longest time out of your pool and hot tub, provide them with beautiful, durable marble tile cut by the pros at Kennedy Tile & Marble Inc.
To enjoy your marble tile for many years to come, you’ll need to provide it with quality care and maintenance products. And we at Kennedy Tile & Marble Inc. offer quality products to help keep your marble as strong and as beautiful as can be.